Living in the country as we do, we share our land with many wild creatures. 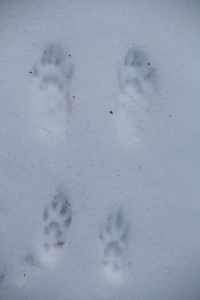 Though rarely seen as most are nocturnal, we occasionally see sign of them in a muddy footprint by the river or a soft spot of earth on the path. 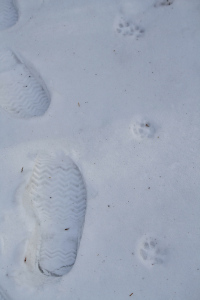 Once the snow falls, the whole world of animals outside our door comes to light through their tracks and it is breathtaking to see how vibrantly alive with wildlife are these fields and woods. 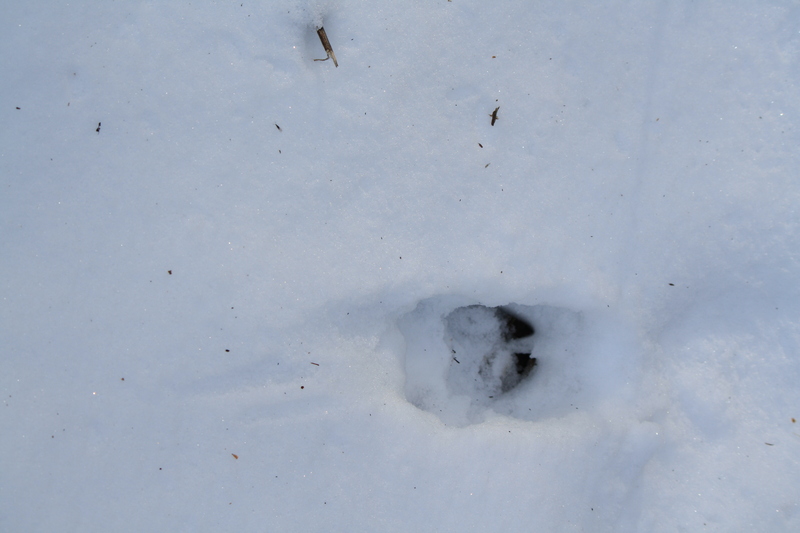 Seeing numerous tracks, large to very small, is like a tour of discovery every time I walk out. Identifying the owners is an intellectual guessing game.